We provide film crew transport services in Cape Town. Cape Town is an increasingly popular choice for film makers and commercial photographers. 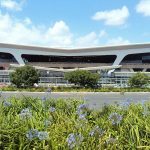 A wide variety of locations are available within a one to two hour drive of the city centre, including sandy beaches, dunes, mountains and African savanna as well as agricultural and industrial landscapes. The City’s film studios are considered to be among the best in the world. Whether you are making a film or organising a photo shoot, Cape Town Executive Travel can help you get around Cape Town. We offer our services to all types of productions including advertisements, documentaries, movies and music videos. 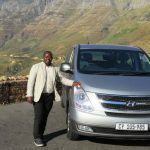 All our drivers are knowledgeable about the City of Cape Town and surrounding areas. We have nine-seater vehicles with ample space for transporting cast, crew and equipment. Please contact info@capetownexecutivetravel.co.za today to find out more.